Biggest reason must be our daughter, who was born in 30th of September. After that day my life has not been the same what it was. And this time I mean it in a good way! I finally ticked long staying Pectoral Sandpiper to my list, but otherwise birding has been very slow. Soon after we got back home, I started to collect stroller ticks. Rules are simple, and you just need strollers, baby, and go out. If you can see or hear bird, just hold the strollers and make sure that your baby is with you. My first trip outside was visit to Käpylä and there i ticked Domestic Sparrow, Tree Sparrow and other common stuff. Best bird was definitely Hawfinch. Next days i have been outside every day and ticked some nice stuff. Late Willow Warbler, Rough-Legged Buzzard, Goshawks, Wren to name just a few. Every day before today I got some new species on my list, but today was day of zero ticks.. 41 species in a week is still quite good I think. 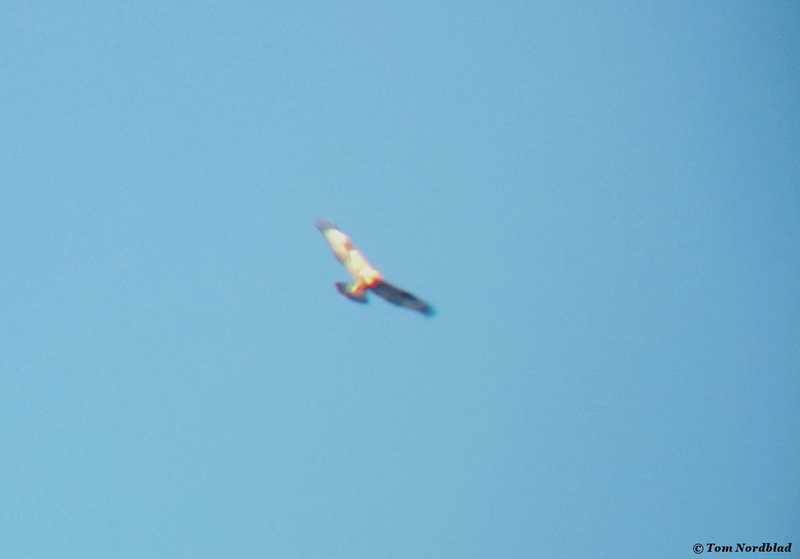 Record shot of the Rough-legged Buzzard through my binoculars. Goldfinch today quite near my house. More stroller and other kinds of birding stuff coming soon. I will try to visit Viikki or some other better birding place this week.